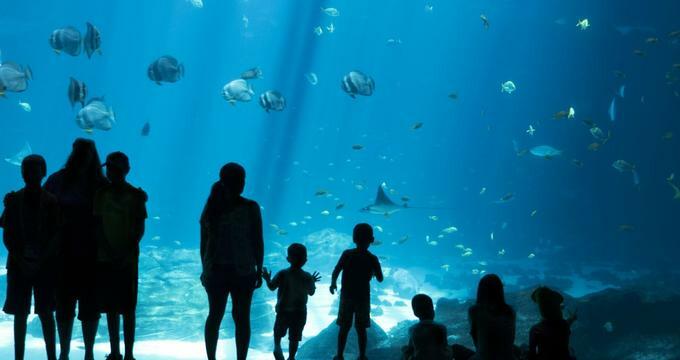 Aquariums offer a great way for people of all ages to immerse themselves in the underwater world, which few get to see in real life, and learn not only about the creatures that live in our rivers, lakes, and oceans, but also about their habitats and the issues that put them in danger of extinction. 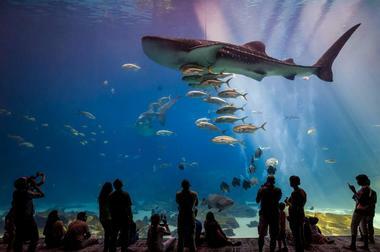 Here are the best aquariums in the United States. Located near Centennial Olympic Park in downtown Atlanta, Georgia Aquarium is a magical place containing several major galleries with over 70 diverse habitats, holding 10 million gallons of water where thousands of marine creatures thrive. You will see whale sharks, dolphins, manta rays, beluga whales, African penguins, sea otters, and many species of exotic marine animals and fish. Located on historic Cannery Row in Monterey, Monterey Bay Aquarium's goal is to inspire the conservation of the world's oceans. Established in 1984, it is considered one of the top aquariums in the world and is famous for its innovative and fascinating exhibitions. 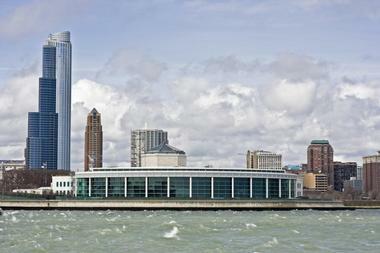 The aquarium has 34 galleries with 200 exhibits that house 35,000 animals from more than 550 species. The exhibits showcase one of the richest marine regions in the world as well as the habitats and species that call it home. 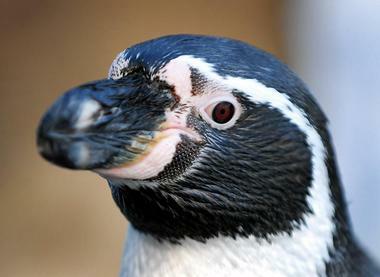 The aquarium is also one of the world's most respected marine conservation institutions and has a range of programs aimed at providing detailed information on some fascinating sea creatures, the most popular being the otter and penguin feeding programs, which allow visitors to get up close and personal to these charming species. 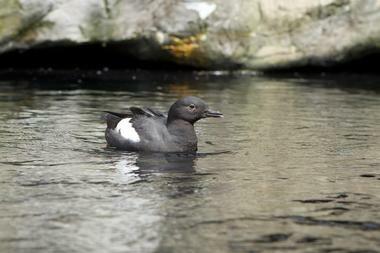 Opened in 1896, New York Aquarium is America's' oldest operating aquarium. In 1957 the aquarium moved to the boardwalk in Brooklyn's Coney Island and is the only aquarium in New York City. The facility is part of the Wildlife Conservation Society, the largest network of the country's metropolitan wildlife parks. The goal of the New York Aquarium is the conservation of all the world's wildlife and wild places. It is spread over 14 acres and is home to 266 species of aquatic animals. The New York Aquarium is currently under significant renovation, but some of its main attractions are still open, such as Glovers Reef, the Sea Cliffs outdoor spaces, Conservation Hall, and the Aquatheater, which features a sea lion demonstration. Opened in 1930, Shedd Aquarium was for a time the world's largest indoor aquarium and it was the first inland aquarium to have a permanent collection of saltwater fish. It currently provides home to 32,000 animals in 5,000,000 gallons of water. Together with the Field Museum of Natural History and the Adler Planetarium, Shedd Aquarium is located in the heart of Museum Campus Chicago. 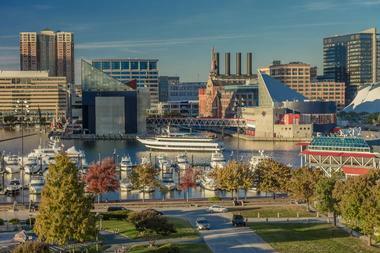 The National Aquarium, previously known as the National Aquarium in Baltimore, is located in the Baltimore's Inner Harbor and was opened in 1981. The aquarium's 2,200,000 gallons of water are home to 17,000 creatures from more than 750 species. The aquarium's goal is to inspire efforts towards the conservation of the aquatic treasures of the world by confronting the pressing issues affecting aquatic habitats through advanced science, education, and conservation. 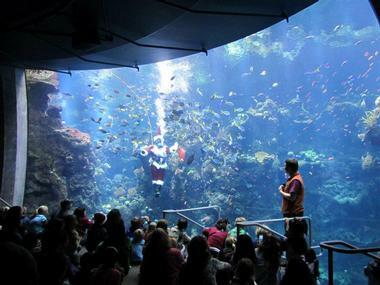 Located on Yaquina Bay in Newport, Oregon Coast Aquarium was opened in 1992 and quickly became a popular Oregon coast attraction and the center of marine education in Oregon. The aquarium is famous as the home of Keiko, the orca from the movie Free Willy, until he was released in the waters near Iceland in 1998. The aquarium focuses on the marine and terrestrial flora and fauna of the Oregon coast. There are three permanent exhibits – Rocky Shores, Sandy Shores, and Coastal Waters – in addition to an area that hosts changing exhibits. 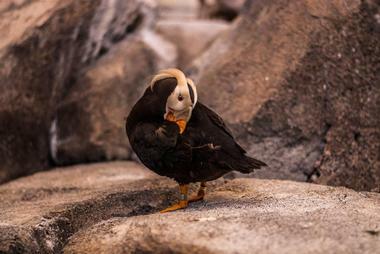 The first exhibit features species that live in bays such as Yaquina Bay or close to shore. Further along, the aquarium features animals further offshore, a kelp forest, and an exhibit of jellyfish. 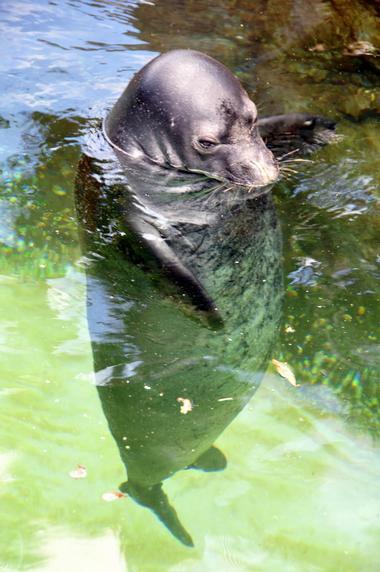 The outdoor aquarium also has a large seabird aviary and houses marine mammals native to the Oregon Coast, such as sea otters, California sea lions, and harbor seals. A fascinating coastal cave is home to a giant Pacific octopus. 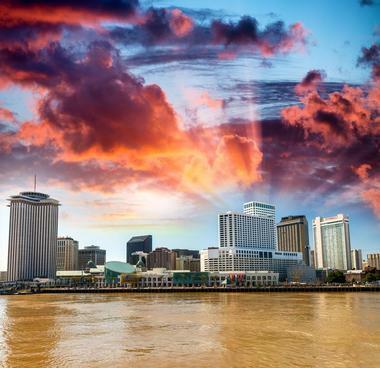 Located right on the Mississippi River next to the French Quarter, Audubon Aquarium showcases diverse exhibits that feature the aquatic habitats of North and South America. The aquarium is home to more than 15,000 animals from 600 species that live happily in this state-of-the art facility. The most popular exhibits include Caribbean Reef, which is enclosed in a transparent 30-foot-long tunnel holding 132,000 gallons of water with Caribbean species such as the tarpon and angelfish, and Amazon World, a giant humid, hot greenhouse protected by a glass cylinder and filled with tropical plants and trees, piranhas, macaws, anacondas, freshwater stingrays, and many other fascinating species. 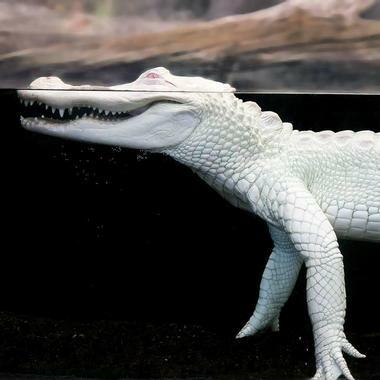 The Mississippi River exhibit features paddlefish, catfish, owls, and a white alligator, while the Gulf of Mexico exhibit has a 17-foot-tall tank filled with sharks, stingrays, marine turtles, and much more. 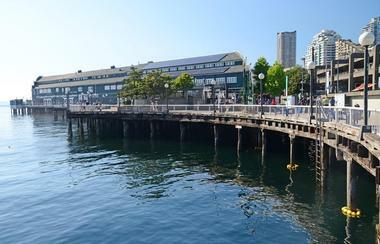 Seattle Aquarium, opened in 1977, is a public aquarium located on the Elliott Bay waterfront on Pier 59 in Seattle, Washington. The aquarium's goal is supporting marine conservation and teaching about human impacts on marine life. Some of the main exhibits include Window on Washington Waters, which mimics the Washington coastal waters and hosts native marine life such as rockfish, salmon, and sea anemones; the Crashing Waves exhibit, which showcases Washington shores between the intertidal zone and a depth of about 5 feet; and Life on the Edge, featuring the tidepool life of Seattle's inland sea. The Life of a Drifter exhibit has a 12-foot-tall glass "donut" filled with moon jellies and giant Pacific octopus, Pacific Coral Reef is an artificial coral reef teeming with reef fish, Ocean Oddities displays pinecone fish, flying gurnards, cowfish, potbellied seahorses, and short dragonfish, and the Marine Mammals exhibit includes harbor seals, sea otters, northern fur seals, and river otters and also contains the Orca Family Activity Center. The Aquarium of the Pacific is a public aquarium located on Rainbow Harbor in Long Beach, California, across from the Long Beach Convention Center, stretched across a 5-acre site. The aquarium is home to more than 11,000 animals from over 500 species and contains three major permanent galleries. The warm Southern California/Baja Gallery has a three-story Blue Cavern tank with animals that live around Catalina Island, the Amber Forest contains a replica of a giant kelp forest, while the Gulf of California simply teems with fish like Cortez rainbow wrasse, porcupine fish, and Mexican lookdowns. 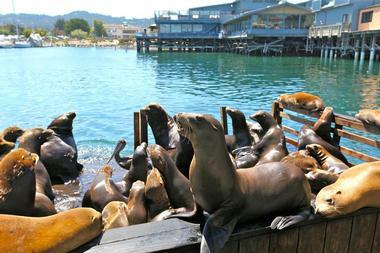 This gallery also includes a sea lion and seal habitat, a ray touch pool as well as the Shorebird Sanctuary. The Northern Pacific Gallery contains a selection of species and habitats from the Bering Sea, such as the sea otter habitat with southern sea otters, and the diving birds exhibit with puffins and auklets, and the giant Pacific octopus tank. The tropical Pacific 350,000-gallon tank is home to a tropical reef habitat, which has zebra sharks, olive ridley sea turtles, and many other species. Florida Aquarium is located in the Channel District in downtown Tampa. It was opened in 1995 and contains over 20,000 aquatic animals and plants from Florida and the rest of the world, which thrive in its a large 250,000-square-foot aquarium. The facility has a rich selection of conservation and education programs, offering summer camps and school trips. Florida Aquarium's exhibits show the journey of water from Florida's freshwater springs all the way to the Gulf of Mexico. Among the most interesting exhibits are a simulated wetlands under a glass atrium, Bays and Beaches with aquatic species that live in Tampa Bay and along Florida shores, and a coral reef with a simulated 60-foot dive that shows how the reef and the plants and animals that live in it change as the depth increases. 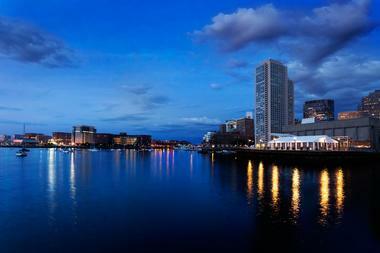 The New England Aquarium is located in Boston, Massachusetts, on the Central Warf and also includes the Simons IMAX Theatre as well the seasonal New England Aquarium Whale Watch, which operates between April and November. The main attraction of the aquarium is the magnificent Giant Ocean Tank, a 200,000-gallon tank with a simulation of a Caribbean reef located in the open atrium. It is home to stingrays, bonnethead sharks, moray eels, sea turtles, barracuda, and other reef dwellers. At the bottom is the penguin exhibit and around the atrium there are four levels of other exhibits. Some of the most interesting exhibits include the Thinking Gallery with goliath groupers, sea dragons, and ancient fishes, the Freshwater Gallery with piranha and anacondas on one side and electric eels together with Atlantic salmon on the other, and The Edge of the Sea tide pool, which has sea stars, snails, sea urchins, and horseshoe and hermit crabs. A part of the California Academy of Sciences, Steinhart Aquarium is located in the heart of Golden Gate Park. It is considered one of the world's most interactive and biologically diverse aquariums. The original aquarium was opened in 1923 and has been significantly extended and modernized since. It is home to almost 40,000 animals from over 900 species. One of the main exhibits is the 250-foot-deep Philippine Coral Reef, which showcases a rich range of aquatic species from the Philippines' coral reefs and mangroves. The Osher Rainforest has three levels of dense canopy full of free-flying tropical birds, reptiles, butterflies, and amphibians and, at the bottom, a giant flooded forest tank with freshwater fish. Other popular exhibits include the California Ecosystem, The Swamp, Animal Attraction, and so much more. The Newport Aquarium is a commercial aquarium located at Newport on the Levee in Newport, Kentucky. 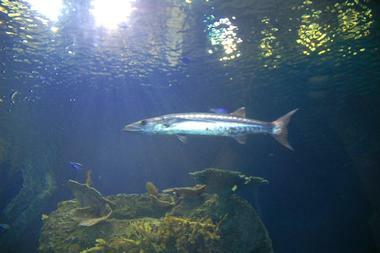 The aquarium is open all year around and has 70 exhibits in 14 galleries and five 200-foot-long acrylic tunnels. The aquarium holds 1,000,000 gallons of water where thousands of animals from all over the world provide quite a show. Some of the most popular animals are the shark rays "Scooter" and "Sweet Pea" and, since 2009, a baby shark ray from Taiwan called “Sunshine.” Other popular attractions are the rainforest with Burmese pythons, kea, kookaburra, rainbow lorikeet, and Swainson's blue mountain lory; Gator Alley with Mighty Mike, the biggest American alligator outside Florida, Orinoco crocodiles, caiman and gharial; Amazon with arapaima, redtail catfish, pacu, silver arowana, long-tailed river stingrays, and perch. Birch Aquarium at Scripps is the center for public outreach for the University of California at San Diego's Scripps Institution of Oceanography. The aquarium is home to over 3,000 animals from 380 species. Located on the hilltop, it offers magnificent views of the campus and the Pacific. It is organized around a central lobby that leads to various exhibits. The area occupies 64,157 square feet and all tanks together hold 175,000 gallons of seawater. Among many fascinating exhibits, some stand out, such as the 60 tanks of the Hall of Fishes, holding hundreds of fish and invertebrates from the cold Pacific Northwest to the tropical Caribbean and Mexico and the Caribbean. Another exhibit, Shark Reef, houses tropical reef sharks such as blacktip reef sharks, Port Jackson sharks, and brownbanded bamboo sharks. The Coral Reef exhibit features live coral and reef dwellers such as chambered nautilus, lionfish, and giant clams, while Feeling the Heat: The Climate Challenge illustrates the findings from the years of the Scripps Institute's research on climate change. 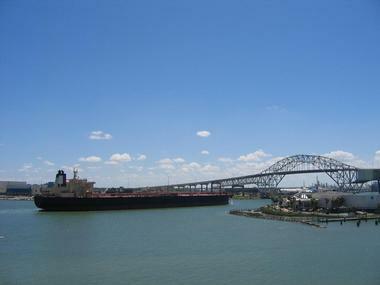 Located in Corpus Christi, Texas, Texas State Aquarium is a nonprofit facility dedicated to the conservation and preservation of Gulf of Mexico wildlife. Of its numerous fascinating exhibits, the most popular include Dolphin Bay, a 400,000-gallon tank that is home to four Atlantic bottlenose dolphins and Eagle Pass, which holds raptors that for various reasons cannot be released back into the wild. Its most famous inmate is a bald eagle called Grace. The Floating Phantoms aquarium holds phantoms of the sea – jellyfish and sea nettles from the Gulf of Mexico – while Flower Gardens simulates a coral reef with a 40,000-gallon tank containing Atlantic tarpon, cownose stingrays, and green moray eels. This aquarium also hosts the "Diver in the Water" show. Located in Seward on the shores of Resurrection Bay, Alaska SeaLife Center is the only permanent rehabilitation facility for marine mammals in Alaska. It is also Alaska's main public aquarium and its focus is on using research, conservation, education, and rehabilitation to promote the understanding and enforcing and maintaining of the integrity of the Alaskan marine ecosystem. Alaska Sealife Center is the world's only institution exclusively dedicated to the northern marine environment. The center researches Alaskan marine ecosystems and their inhabitants, such as marine mammals, fish, invertebrates, and sea birds, some of which are listed as endangered or threatened. The center also specializes in the research into sea birds and marine mammals, such as Steller sea lions, harbor seals, eiders, fur seals, sea otters, and other species. Located on Waikiki Beach across from Kapiolani Park and next to a living reef, Waikiki Aquarium was founded in 1904 and since 1919 has been part of the University of Hawaii. The aquarium is home to over 3,500 animals from 500 marine species. In 1978 Waikiki Aquarium developed the first living Pacific corals displays in the States, using a seawater well and natural sunlight. With a special device, they were able to culture table and staghorn corals and some of them are now 30 years old. Waikiki Aquarium was the first American aquarium to keep the chambered nautilus and to produce viable embryos. Waikiki Aquarium was also the first to display blacktip reef sharks, broadclub cuttlefish, giant clams, and a mahi mahi hatchery and exhibit. Downtown Aquarium, formerly known as Colorado's Ocean Journey Aquarium, is now part of Landry's Restaurants. 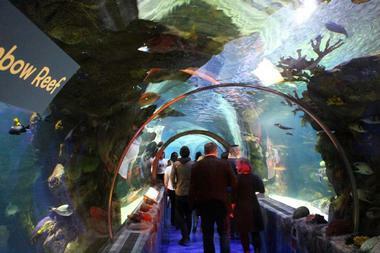 It was opened in 2005 in a redesigned space under the name Downtown Aquarium. The aquarium has over a million gallons of water filled with spectacular underwater exhibits on diverse ecosystems from all over the world. 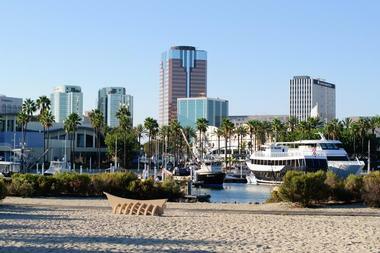 Downtown Aquarium is home to about 500 species of aquatic and terrestrial animals. A special attraction is the interactive reef stingray touch tank. 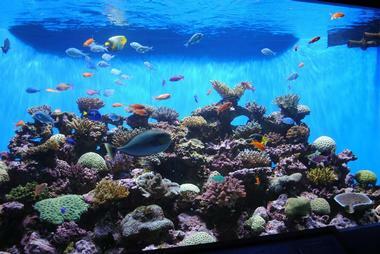 The aquarium has both freshwater and ocean ecosystems and showcases the link between rivers and ocean. It takes care of many endangered or threatened species, including 12 fish, six reptiles, two mammals, and two birds. 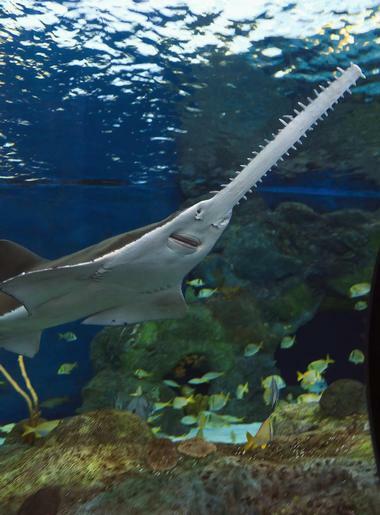 Located in Charleston, South Carolina, on Charleston Harbor, South Carolina Aquarium was opened in 2000 and is home to over 10,000 animals and plants. The largest and most popular exhibit is the Great Ocean Tank, which occupies the first three floors of the aquarium. With over 385,000 US gallons of water, the aquarium is home to more than 700 animals. Tennessee Aquarium is a public aquarium located on the banks of the Tennessee River in downtown Chattanooga, Tennessee. 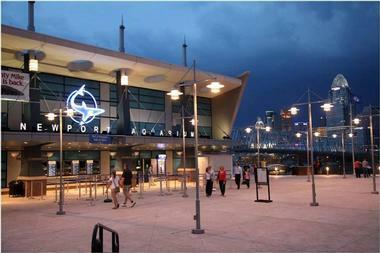 After a major expansion in 2005, the aquarium now holds over 12,000 animals from around 800 species. The aquarium consists of two facilities, the first being the River Journey, a 130,000-square-foot structure the height of a twelve-story building and containing 400,000 gallons of water, making it one of the world's largest freshwater aquariums. 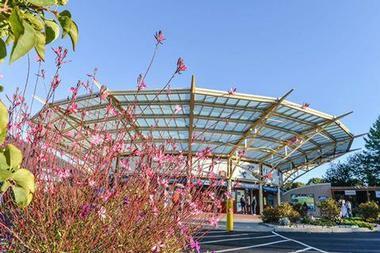 Part of the system of three North Carolina aquariums, the aquarium at Fort Fisher is located about 15 miles from Wilmington south of Kure Beach and about a mile from the Fort Fisher Ferry terminal. The aquarium features a range of exhibits, from tidal pools and salt marshes to an open ocean exhibit two stories high that is home to rays, sharks, and eels as well as Luna, a beautiful rare albino alligator, and one rescued bald eagle. You can touch the gliding stingray and get up close and personal with a loggerhead sea turtle. The theme of the aquarium is a journey along the Cape Fear River, swamps and freshwater streams, all the way to diverse coastal habitats, reefs, and the open ocean. Part of Omaha's Henry Doorly Zoo and Aquarium, the Walter and Suzanne Scott Kingdoms of the Seas Aquarium was opened in 1995 and quickly became one of the main attractions. The building occupies 71,000 square feet and its tanks contains 1,200,000 gallons of water. The aquarium features diverse aquatic habitats including exhibits on the polar regions, a flooded Amazon rainforest, temperate oceans, and coral reefs. The enormous 450,000-gallon shark tank has a 70-foot-long shark tunnel in the 17 feet-deep tank filled with sharks, sea turtles, stingrays, and a bright variety of coral reef fish. There are also tanks with jellyfish and open-ocean fish, while a portable touch tank allows visitors to experience touching the skins of sharks and stingrays. There are penguins outside near the entrance during the warmer months and the freshwater display of the Amazon rainforest teems with various fish, turtles, invertebrates, and mammals such as squirrel monkeys. Sea Life Minnesota Aquarium is a 1,200,000-gallon aquarium located in the Mall of America in Bloomington. The journey through the aquarium starts with the Stingray Adventure, which contains the Pacific Northwest Rockpool and the Shipwreck and Ray Pool, in which visitors can interact with stingrays. There is also the Jellyfish Discovery, filled with many kinds of jellyfish, the Shark Discovery interactive exhibits, the Seahorse Kingdom with six species of seahorse, and the Coral Caves with live coral and reef fish such as clownfish and regal blue tang. After Coral Caves, visitors enter the 300-foot acrylic tunnel that takes them through four tanks: Atlantis, Rainbow Reef, Wild Amazon, and Sturgeon Lake. The journey ends with the Mysteries of the Rainforest with caimans, tortoises, poison dart frogs, and piranhas. Mystic Aquarium is located in scenic Mystic, Connecticut, and is one of the only three American facilities with Steller sea lions and the only one in New England to have beluga whales. There are special exhibits with rays, a shark touch pool, an exhibit with African penguins, a jellyfish gallery, and an ecosystems exhibit called Exploration: Wild. Mystic Aquarium is home to three beluga whales, two northern fur seals, three Steller sea lions, seven California sea lions, a large colony of African black-footed penguins, harbor seals, a unicorn fish, octopus, blue tang, sand tiger sharks, and many other ocean dwellers. 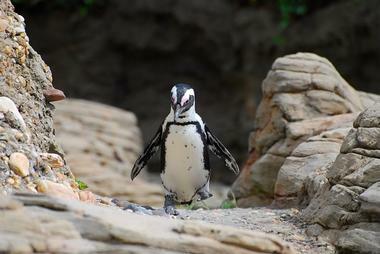 Visitors can have close encounters with several species, such as the African penguins, beluga whales, and stingrays.